﻿Helping re-engage survivors into essential, life-long, follow-up care. 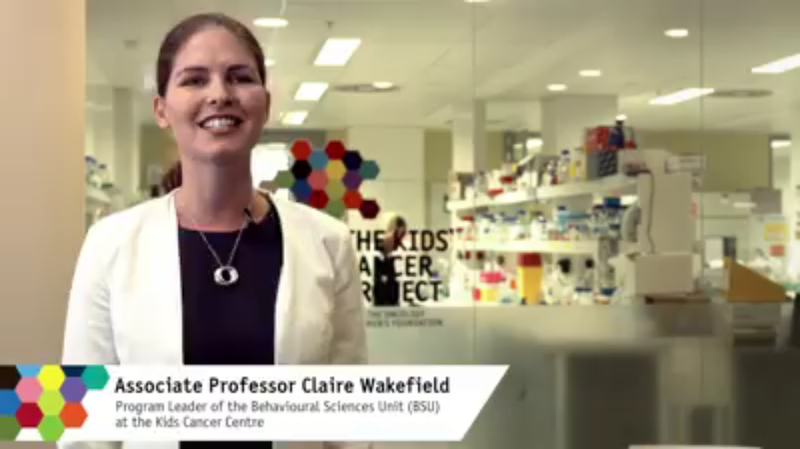 ​Click on the image (left) to watch A/Prof Claire Wakefield interviewed by the The Kids Cancer Project, providing details about the Re-engage program. You can also read more here. ​Long term follow-up care for survivors of childhood cancer is critical. However many barriers prevent survivors from receiving adequate follow-up care. Web-based technologies (known as ‘e-tools’) may help re-engage survivors with essential follow-up care. Survivors can use these programs to schedule health check-ups, communicate with their doctors, connect with other survivors and find out more about how to improve their long-term health. To support survivors following their treatment, the Behavioural Sciences Unit are giving survivors the chance to trial an online program called ‘Re-engage’, including connection to an e-tool to help manage their care. ​Your feedback will help us to improve the delivery of long term follow-up care for survivors of childhood cancer. ​Alternatively, if you are a parent of a survivor who meets the above criteria, you may also be eligible to participate. This study is funded by Cancer Council New South Wales and the The Kids Cancer Project and supported by the Australian and New Zealand Children's Haematology/Oncology Group.